The Food, Drink and Agricultural industries are recognised as integral parts to Scotland’s and to Europe’s economy, both in terms of employment, GVA and scientific excellence. Targeted research and innovation is key to the sector’s prosperity, growth, longevity and contribution to the wide-reaching societal challenges faced by the European population (i.e. food security, nutrition and maximising the use of the resources available). The workshop is open to all interested Scottish and UK stakeholders, including: academia, industry (large companies as well as SMEs), public sector stakeholders, research and technology organisations and NGOs. This event is being delivered with the support of the Scottish Government's Innovation Strategic Partnerships Group in collaboration withInnovate UK and the Knowledge Transfer Network. 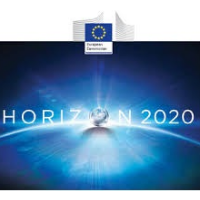 For further information, or to express interest, please contact us via Horizon2020@scotent.co.uk.